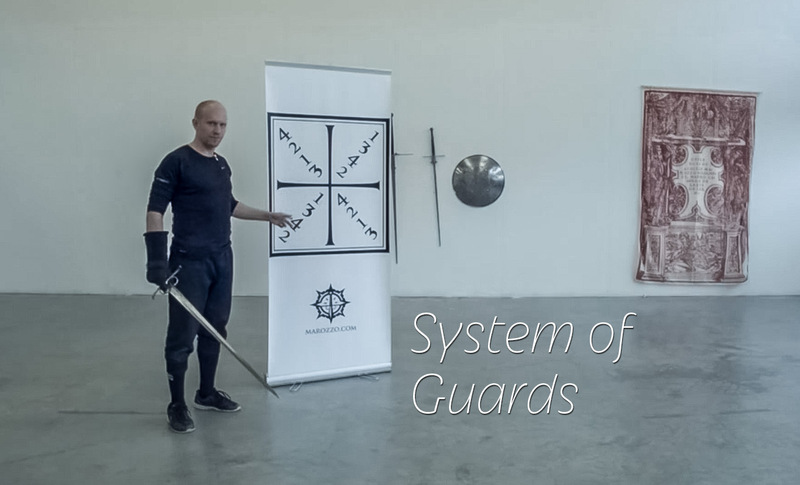 This video demonstrates a way of quickly learning the fundamental guard positions of the Bolognese tradition of swordsmanship. Demonstrated here is a division of the guards into four guadrants, each with two to four simple variations. Two auxiliary guards are displayed in addition the most fundamental ones. Notice that this video does not name the guards. This is intentional, as the purpose here is to describe an extremely easy way to remember the guards through reasoning them out by way of the guadrants and the variations. If you are interested in learning the names as well, please refer to this page. For any questions about this video please leave a comment below or email ilkka@marozzo.com. – Notice that the videos now have subtitles available under the CC button! – The recap of the video is now available for watching separately.